According to latest report, a bungalow located at Lakeshore View, with a total built-up of 8,579-sqft was sold for a whopping S$23.8 million (or S$2,775 psf) in October 2015, the highest transacted (absolute) price since 2014. This is the 5th bungalow which have changed hands at Sentosa Cove and It has surpassed the number of transactions recorded in 2014 where only 4 units have been sold. Earlier in February 2015, we’ve seen a 9,268 sqft detached house at Treasure Island sold for S$22 million (or S$2,374 psf). This deal is certainly an encouraging one as it adds up to the overall transaction value for Sentosa bungalow units to S$90.6 million, which works out to an approximate average psf of S$2,164. 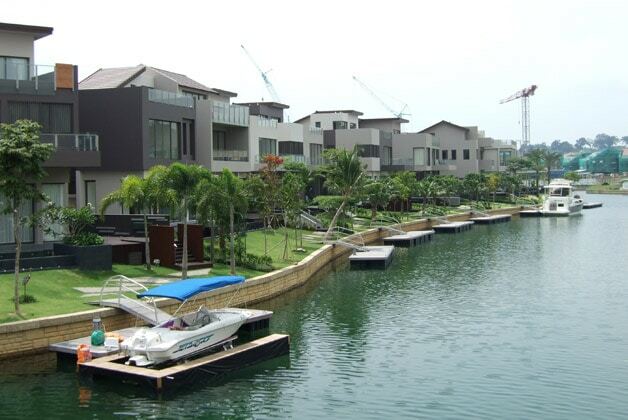 Prices of bungalows in Sentosa Cove have seemingly rebounded from year 2014’s trough. It’s in fact a common sight where you see foreigners buying landed properties in Sentosa Cove and use them as vacation homes, residing for only couple of months. Then again, due to the gloomy property market outlook, transaction volume of landed homes in Sentosa Cove have significantly fallen due to the introduction of property cooling measures. This drastic drop is more noticeable after the increase of Additional Buyer’s Stamp Duty (ABSD) for foreign buyers to a staggering 15% in January 2013, where volume slipped from a high of 54 transactions in 2010 to only 18 in 2013, and only 5 in 2015. On the bright side for the property buyers who are seriously into Sentosa bungalow units, this could spell a couple of good bargains lying around the precinct as homeowners in Sentosa Cove adjust their selling prices. It was also reported months ago where stats have shown that Singaporeans and Permanent Residents are finding value deals in the high-end property market. One of them currently listed is a 4,143 sqft bungalow (possible extension of another 4,000 sqft) situated at 28 Cove Way, which you buy the property at S$14.8 million and get to drive off in a Lamborghini Huracán. Technically, the detached house will only cost approximately S$13.8 million or S$1,695 psf based on built-up. Currently, the lowest ever Sentosa bungalow transacted this year was a unit at Treasure Island for S$14.3 million. Then again, It was noted that while more investors of landed homes in Sentosa Cove are exiting the Singapore property market today as they hunt for elsewhere with better investment returns, they are inclined to offer their properties at heavily reduced pricing. Some of these investors are also looking to offload their property in Sentosa Cove because they are not spending as much time in Singapore because they have moved their businesses elsewhere.